A big old space in Colorado accessed by a 'dirt road' that the directions caution you to drive slowly on, the Boulder Circus Center has a few different spaces, but for circus artists it's probably going to be the Aerial Corridor of the Rastelli Room – a space with a sloping ceiling that reaches 27 feet at its highest point. 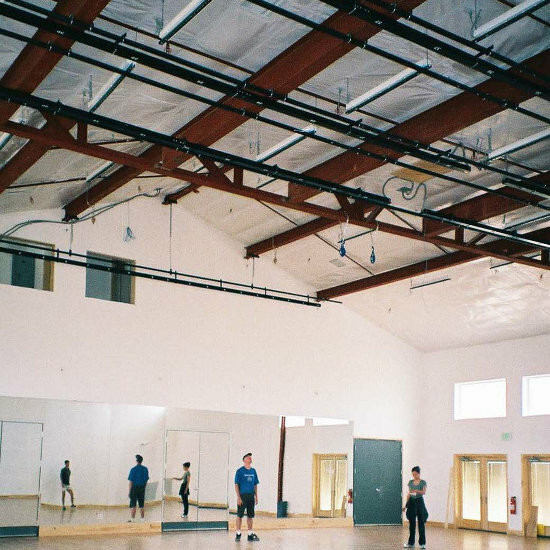 Price for the Aerial Corridor is $20 p/h, dropping to $15 p/h if you have an insurance policy that names the Boulder Circus Center as also insured. Bring your own equipment.